Recently, newspapers and financial websites are full of articles discussing distress in the retail sector. The number of store closures and employee layoffs is increasing every week. This year, the number of distressed retail companies has been far greater than any other year in recent history. In the November 2017 issue of the American Bankruptcy Institute Journal, The Michel-Shaked Group’s Israel Shaked (Managing Director) and Brad Orelowitz (Senior Vice President), wrote an article discussing the recent wave of bankruptcies in the retail industry. There are two primary reasons changing the retail landscape. First, there is an obvious shift in consumption patterns away from brick and mortar stores to online stores. Second, is the level of debt at the retailer. The number of retail bankruptcies in 2017 is substantially higher than in previous years due to these two factors. 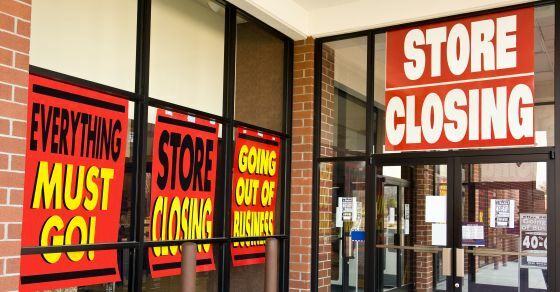 Furthermore, there are also many retailers facing distress, and even though they have not yet filed for bankruptcy, they are closing a record number of stores in 2017. For example, as of September 2017, some of the major retail chains have announced almost 6,000 store closures this year. A common theme surrounding many financially distressed retail companies is the presence of private equity firms and leveraged buyouts. Even though, on paper, retailers are not great leverage buyout candidates, PE firms have historically targeted this sector. One reason is that the retailers are household names, which makes it easier to convince lenders as to the company’s long-term viability. In the Payless ShoeSource bankruptcy, an assignment The Michel-Shaked Group was involved in, Israel and Brad showed how a leveraged buyout, followed by two dividend recapitalizations, left Payless with an additional $580 million of debt only 17 months after the LBO. Not one single penny of this debt went to the company’s benefit. Instead, the loan proceeds were used to pay selling shareholders, and to pay dividends to its PE owners. All of this was done while Payless’s operations were deteriorating. At risk were employees, landlords and vendors, all of whom have had no say in the dividend recapitalizations. Finally, the article discusses the preemptive measures management and financial advisors can take to mitigate the risks associated with private equity ownership and, specifically, dividend recapitalizations. There is no fair consideration in these transactions, and they expose key players such as significant shareholders, lenders and board members to fraudulent conveyance claims, charging that their acts rendered the retailer insolvent and/or inadequately capitalized.